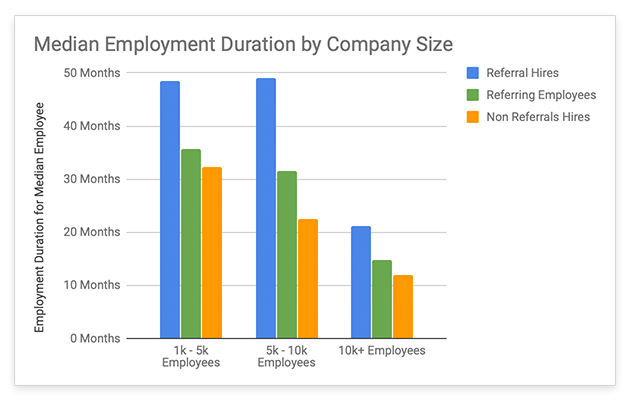 EmployeeReferrals.com has mined data from our long-term client companies to calculate the median employment duration for referral hires and non-referral hires. Our study encompasses over 50 companies and 91,000 employees. The results were encouraging, with 50 percent of referrals retaining their employment for at least 38 months compared to 22 months for non-referral hires, an improvement of 70 percent. 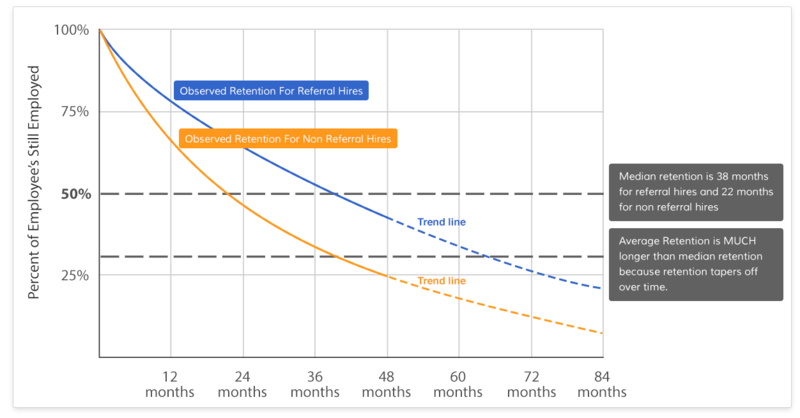 In other words, referral hires stay 70 percent longer than non-referral hires. 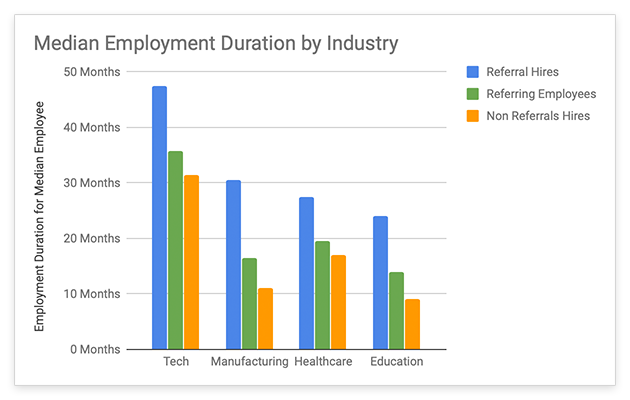 After determining overall employment duration we broke the data down by industry and company size. 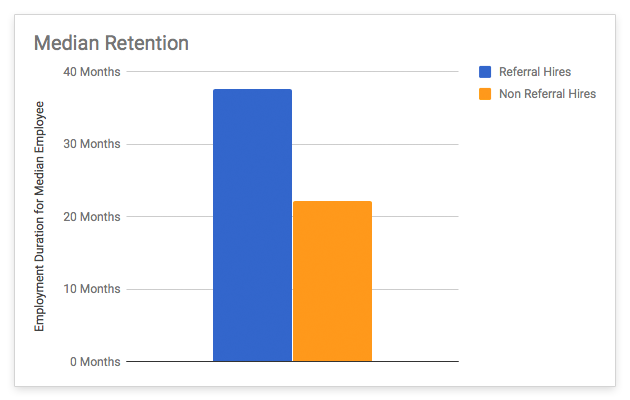 We found that small and medium sized companies experienced much better retention than enterprise level companies. In fact, employees stayed 122 percent longer at smaller companies. 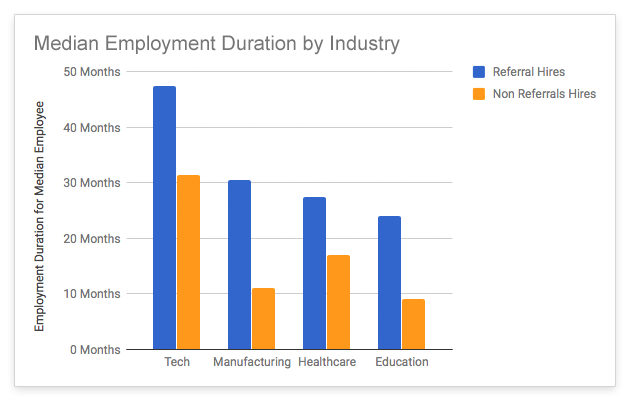 Our retention at enterprise clients is lower because they employ a large number of entry level retail workers in addition to a smaller number of highly skilled corporate and tech employees. 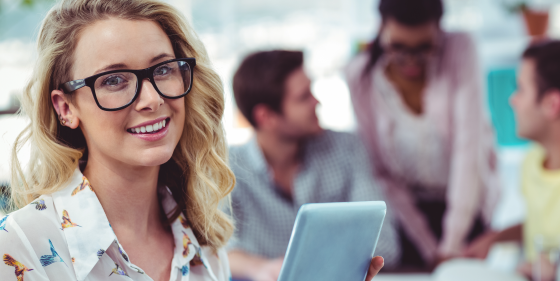 We found that companies with a focus on technology retained employees significantly longer. We believe this to be more of a reflection of the fact that nearly all their employees work corporate jobs. That being said, it’s interesting to see that Referral hires provided a bigger boost to retention in industries with high turnover. Referral hires at low turnover companies only stayed 51 percent longer while referral hires at the high turnover companies stayed 122 percent longer. When a referral hire is made, these costs are incurred 41 percent less frequently in the future. It’s not a stretch to say that referrals cost about half as much over the life of the hire. 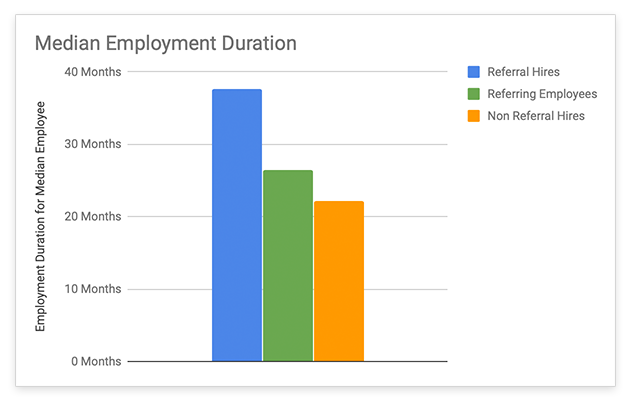 After calculating the retention rate for referral and non-referral hires, we wondered what the retention looks like for employees who submit referrals. Does having a friend at the company prompt people to stay longer? Referring employees stay about 20 percent longer than standard hires. If the employment duration seems a little short to you, that’s because we’re calculating median employment duration, not the average, which is more commonly used. We’d like to take a moment to point out that while the median referral hire stays 38 months, the average duration of employment is much longer. Unfortunately, we can’t compute average retention until the last of the employees has ended their employment. Realistically, it could take 30 years to get a complete picture of average employment duration, while our oldest clients have only used our software for about five years.